Happy Thursday! We’ve almost made it to the weekend. It’s actually officially the weekend around here. My kids have a 4-day for parent/teacher conferences – it’s nice to have them home but ugggghhhh, conferences. You guys know I cry every. single. time. that I have to go in there. Basically, today is the best day of my life. 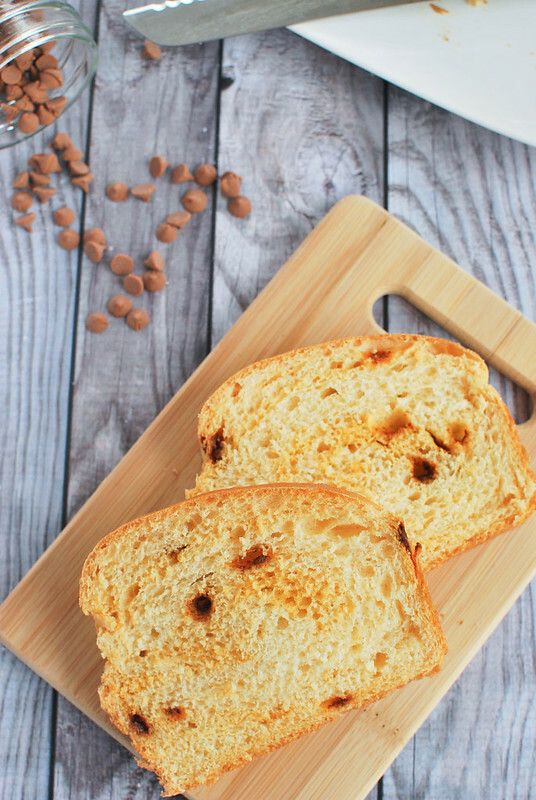 To make today even better, I’m going to make French toast with this amazing Cinnamon Chip Bread that I made yesterday. Guys, I’m into the yeast again. This is supposed to be like the Great Harvest cinnamon bread but I’ve never tried it so I can’t really confirm. But I just looked it up and we totally have a couple Great Harvests here so I should probably go compare theirs to mine while my husband deals with the conferences. Right? I can tell you that it’s the lightest, fluffiest bread ever and I love those cinnamon chips so much. And I love that some of the cinnamon chips melted a little during kneading so it almost looks like there are cinnamon swirls in the bread. For my afternoon snack yesterday, I smeared a pretty large piece of the bread with sunflower butter and then sprinkled more cinnamon chips on top… best snack ever. In the bowl of a stand mixer fitted with the paddle attachment, stir together yeast, sugar and warm water and allow to sit for 5 minutes. After 5 minutes, it should be bubbly. If not, throw it out and start again. Add the warm milk, oil egg, and salt. Add 3 cups of flour slowly and beat until incorporated. Switch to your dough hook and begin adding more flour 1/2 cup at a time until the dough pulls away from the sides of the bowl. Continue kneading for about 6 minutes on medium-high. It will still be quite sticky but that's how you want it. Add the cinnamon chips and beat until just incorporated. Don't overbeat it as the dough will be warm and you don't want the cinnamon chips to melt completely. Transfer the dough to a greased mixing bowl and allow to rise until doubled in size, about an hour. Punch down dough and divide in half. Form each half into a loaf and place into two greased loaf pans. Allow to rise until doubled in size, another 30 - 45 minutes. Bake at 350F for 30 - 35 minutes or until browned on top and hollow-sounding when you tap it. Cool before slicing. 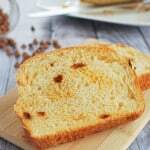 12 Responses to "Cinnamon Chip Bread (Great Harvest Copycat)"
This seriously could become my new addiction — can’t wait to try it! Wow. This bread look phenomenal. I haven’t used cinnamon chips yet and this looks like the perfect recipe to start. 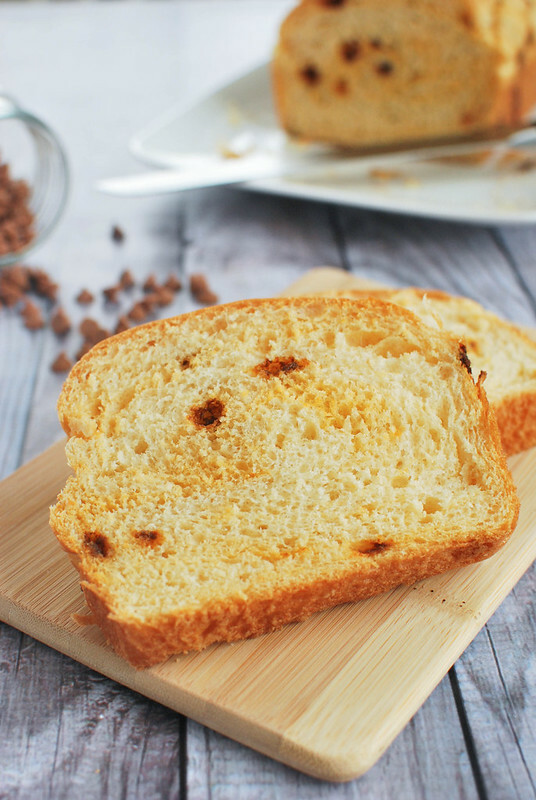 French toast with this bread is a must! Lightest? Fluffiest? Now how am I supposed to resist making it right away when you say all the right things! I just need to run and get some cinnamon chips and I’ll get right on it! Sounds amazing! I see this and I am thinking french toast…. wow… It looks fantastic! Making these is a must do on my list. I know my family would just love this! Bread in our house goes in one day, with this bread it might be gone in one hour! And suddenly I crave cinnamon! This looks delicious and I can’t wait to try it! Oh my goodness, I can only imagine how glorious this will smell while baking!! YUM. This looks awesome, Amanda! 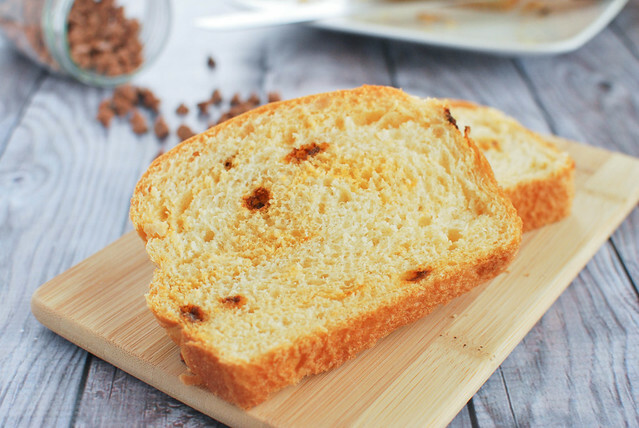 And, like you said, this looks like the ultimate bread for French toast!? Both my kid conferences happened this week already. Done and done! Now if someone would only help me teach my 3rd grader algebra (ridiculous!!) and bring me some of this bread. Stat. What a great looking bread! My mouth is watering just thinking about it!